On this unique tour, you will enjoy the highlights of three of China’s most fascinating cities – Shanghai, Xian and Beijing – with exceptional local guides and deluxe accommodation; a visit to beautiful Chengdu to visit the Giant Panda Breeding Research Base, and a stay in the Chinese countryside in the spectacular region of Guilin. You may wonder why a tour company specialising in France is offering tours in China! Well, our tour director Sue knows China intimately as she lives in Shanghai part of the year as a local expat, so when you join us you will be experiencing a rare insight into this stunning country, which Sue is passionate about and knows all the very best “hidden treasures” of! We begin in the extraordinary city of Shanghai, where Sue will introduce you to the fascinating history and stories of life in colonial times when Shanghai was opened to the west as a major trading port and was home to wealthy merchants, international bankers, drug lords and gangsters. You will discover Shanghai as on no other tour as we enjoy historic and cultural walks along the famous Bund and through the leafy streets of the Former French Concession, as well as exploring the extraordinary modern city across the river and finding the best “hidden secrets” in shops, markets and restaurants that the locals frequent. Staying at the superb Langham Hotel in the beautiful cosmopolitan enclave of Xintiandi, full of restored stone laneways, restaurants, cafes and boutiques, your location in the most charming part of Shanghai is the perfect home for 5 nights. Beijing of course is renowned for its ancient history, Forbidden City and the Great Wall. 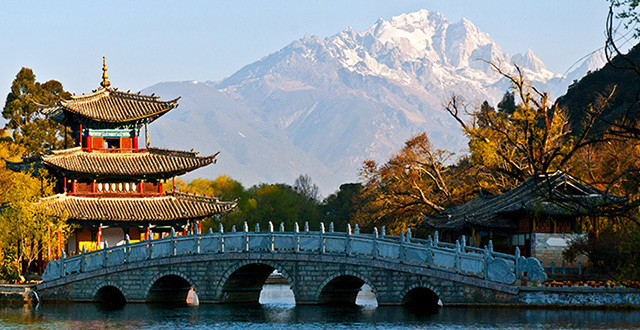 Discovering these magnificent monuments and walking in the footsteps of the Emperors is an integral part of any superior China tour but again, seeing them with our exceptional expert guide sets our tour apart. Staying at the stunning Waldorf Astoria in Beijing, we spend an unforgettable three days exploring the Chinese capital, enjoying both Chinese and Western cuisine at carefully selected local restaurants, and relaxing and enjoying the luxury of this wonderful hotel in our spare time. In Xian the famous Terra Cotta Warriors, a collection that is one of the wonders of the world, needs no introduction. But we ensure that you see this extraordinary ancient site with a local expert who guides us through the history of the Qin dynasty, whose first Emperor created this army to protect him in his afterlife; the archaeological methods used on the site; the roles of the different soldiers, horses and carriages that have been found; and why this site was buried and remained undiscovered for 2,000 years. A night at the most beautiful hotel in Xian makes this an unforgettable part of your Chinese adventure. Next stop is the beautiful city of Chengdu, where you will meet the gorgeous Giant Pandas. The Giant Panda Breeding Research Base conducts captive breeding programmes and scientific research into these intriguing animals, and have been single-handedly responsible for taking them off the endangered list. You will see many Giant Pandas and the babies are adorable living teddy bears! A night at the Sichuan Opera is also a highlight of our stay. The next part of our trip explores one of the most beautiful regions of rural China. Guilin is famous for its spectacular Karst Mountain range, the largest and most unique in the world. We spend four days in this stunning region, discovering isolated villages, tea plantations and enjoying some of the most jaw-dropping scenery in China – while staying in exquisitely restored Qing Dynasty villas in our beautiful boutique hotel. Flights are not included in the tour price as we must ticket flights at the time of your confirmation of the tour. However, to give you an idea of price, cost per person for the main tour would be approximately $1600 per person (based on current prices) for Business Class flights Chengdu – Guilin – Shanghai. We do recommend flying Business Class within China. It is not much more expensive than Economy but the ease of travel is enormous as there can be exceptionally long queues at airports and at security. Business Class travellers have priority at check-in, at security and on boarding. However, if you would like prices on Economy Class fares please do ask us. Meals as per itinerary (all include wine), breakfasts throughout the tour, transport in private air conditioned buses, private guides, accommodation in exclusive hotels throughout the tour, all entries and excursions, the full time services of your tour director Sue Heine. This evening you will arrive in Shanghai on your flight from Australia. A private transfer will take you to Xintiandi in central Shanghai, where your tour manager Sue, a local expat, will be there to meet you and help you settle in. Your hotel is in an area called Xintiandi, which an area of beautifully restored shop houses and laneways now housing beautiful shops, restaurants and cafes. Here on your free evenings, you have a wide choice of dining establishments and you will love strolling around this beautiful location. One of my favourite starts to the day in Shanghai is a stroll around Fuxing Park, a short walk from your hotel and a landmark of the French settlers who laid it out in 1909. This is an insight into modern Chinese life where locals start their day with dancing, tai chi, singing, kite flying, group discussion and mah-jong. We’ll then have a short stroll around Xintiandi before lunch at one of the restaurants there. For a century the waterfront landmark The Bund has been one of the most recognizable architectural symbols and pride of Shanghai. This morning our two-hour Bund tour introduces you to the amazing businessmen and architects that built the world’s most famous embankment. Take a stroll along this famous promenade and learn how a swampy marshland was turned into one of the most important trading hubs in the modern world. View the interiors of some of the Bund’s most stunning art deco masterpieces including the HSBC Bank, Peace Hotel and the Shanghai Club. From Victor Sassoon’s Cathay Hotel with its celebrity guests and wild fancy dress parties to the Bank of China and its famous case of daylight robbery, the Bund provides a glimpse of Shanghai’s extraordinary colonial past. We’ll lunch at a terrace restaurant overlooking the Huangpu River and the Bund, and then cross the river to the Shanghai Tower. The Tower is an amazing insight into modern day China. It is the 2nd tallest building in the world and has a fascinating exhibit on skyscrapers the world over, as well as this particular structure which is one of the “greenest” buildings in the world – how it was built and how it operates like a small city. The views over Shanghai are extraordinary. Today we will begin with a stroll at Tianzifang, a warren of tiny boutiques and good quality local artisans, set amongst the old lilongs. Lunch today is at a famous “dumpling joint” which offers up the very best soup dumplings, a Shanghai specialty! Then we will see another example of 21st century China at the China Art Palace Museum. This houses the virtual painting “Along The River During Qingming Festival” which is a very beautiful and extraordinary digitised and animated version of the most famous ancient scroll in China. HISTORY & THE MARRIAGE MARKET! This morning you will be driven to the Great Wall at the Mutianyue site (approx. 1.5-2 hours). This part of the wall is fully restored and less crowded than some other sections closer to Beijing. Ride the cable car up to the wall to the No.14 watchtower for a walk along the impressive ramparts. The Wall has been built up in myth and legend, but despite the many inaccuracies written, it remains one of the great man-made wonders of the world. The Great Wall rides some of the highest peaks of the Yan Mountains affording some stunning views of the surrounding countryside. Originally built to guard strategic passes to the plains on which Beijing is located, the magnificent vistas and solitary setting here evoke the grandeur and dazzling achievement of 5,000 years of Chinese civilization. This morning we start the day with a visit to the stunning Summer Palace. One of the loveliest spots in Beijing, this beautiful residence has the best preserved imperial garden in the world, and the largest of its kind still in existence in China. The arched bridges, pretty promenades, decorated corridors, and ‘breezeways’ (a hallway that allows the passage of a breeze between structures) lead visitors through ever-changing views and scenery. This morning an early start to visit the AKP supported Panda Research & Breeding Centre which conducts captive breeding programmes and scientific research and is an educational tourism centre for this endangered and beloved icon of China. We will see many Giant Pandas and babies too – the baby pandas are adorable living teddy bears! CHINESE TEA AND BAMBOO RAFTING! Today our tour ends and you will have some free time to relax in Shanghai before your flight home. If you would like to contact us please see our details below or please fill in the online form.